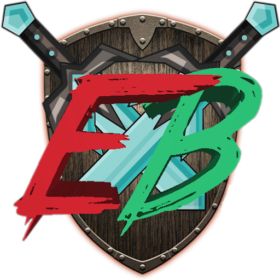 The ExplodingBush Network is serving the awesome players of Minecraft a fun, enjoyable, and amazing server to play on. All of our servers have been custom coded and are up to spec. Your normal plots server with a 100×100 plot! Spawn in a random spot around the world and survive and thrive! Our flagship game, custom coded, and really fun to play. A unique generation of RPG battles with tournaments, zombies, freemode, and challenges. Spawn in the middle of the sky with minimal resources and attempt to survive! Another flagship game, styled like a spleef, but very different. Last team standing wins it all! Who is the owner/founder of the network? mjmalec and his team founded the server in 2013 and have been working ever since to create a super fun Minecraft server. Are there purchasable ranks available? Yes, there 100% will be, but we haven’t finished on that quite yet. We would like to ensure perfect quality of all our games before offering network wide ranks. But by all means, you can totally donate at our PayPal.me page. Just click, the “Ask a Question” button below. Join our super fun Discord to chat with our community and make new friends!